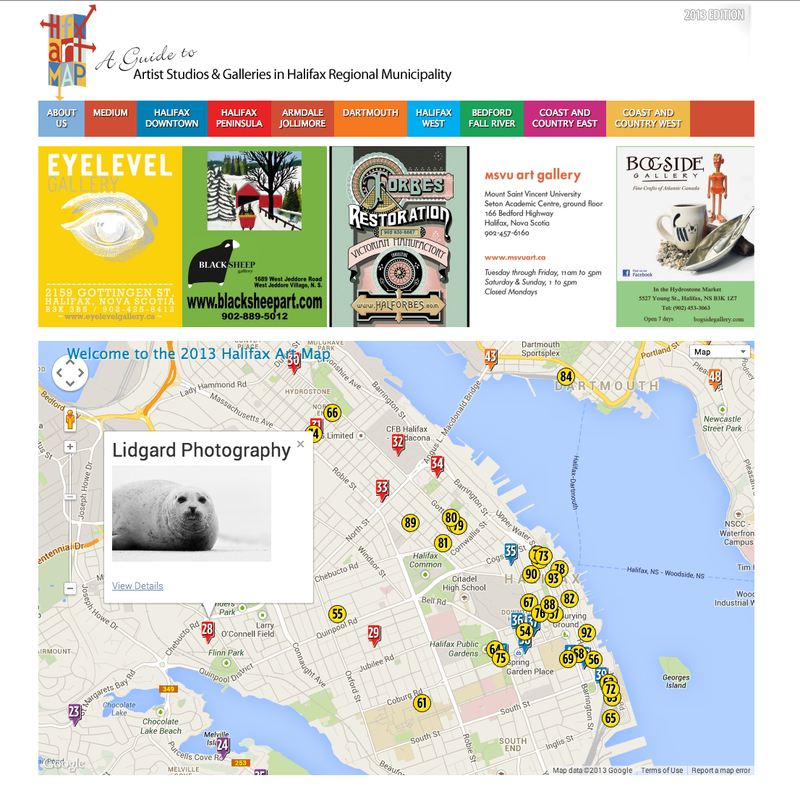 The Halifax Art Map website is a companion to the printed version of the map. Each year over 23,000 copies of the map are printed. The site allows the public to easily find artists and galleries in the Halifax Regional Municipality using and interactive map. The map also uses a secure membership system allowing artists and galleries to manage thier own profiles. Eastwood Design has been managing the Art MAp's website since 2003, adding functionality each year adding keeping the website on current trends.